See all FAQs 1. What type of work is considered as public service? 2. How are Kwok Scholars selected? 3. What costs does a Yale Kwok Scholarship cover? 4. What does a Yale Kwok Scholarship stipend cover? 5. Can I apply for a Kwok Scholarship to study for a PhD? 6. Can I apply for a Kwok Scholarship to study at a university other than the University of Oxford and Yale University? 7. I am a second year master degree student, can I apply? 8. Am I allowed to accept awards in conjunction with a Kwok Scholarship? 9. I have submitted application forms, CV and reference letters to Yale University, what additional information and documents would I be required to provide if I am considered for a Kwok Scholarship? 10. Who covers the cost of attending the interview? 11. What documents do I need to take with me to my interview? 12. What is the dress code of the interview? 13. What should I expect of the interview? 14. What questions will I be asked at the interview? 15. If my interview is conducted through Skype, will I be disadvantaged? 16. My university is asking me to pay a deposit, what should I do? 17. Who pays for my accommodation? 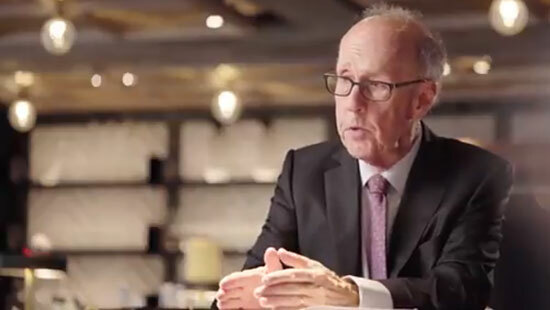 Professor Stephen Roach, Senior Fellow at Yale University’s Jackson Institute for Global Affairs, talks about the classes he teaches at Yale and how the Jackson Institute prepares Hong Kong students for Global Affairs. Established by the Kwok Scholars Association (founded by Dr. Walter Kwok), each year the Kwok Scholarships will provide full funding for one exceptional student from Hong Kong and/or mainland China who intend to return to Hong Kong or China on completion of his/ her study to develop a career in public service for the benefit of the Hong Kong community and/or betterment of China. Funding is available for one M.A. in Global Affairs scholarship at the Yale University, annually. The Scholarships will provide in full for University tuition fees and a stipend for living expenses. Scholarships will be allocated based on academic merit, financial need and commitment to public service. demonstrate a commitment to public service for the benefit of the Hong Kong community and/or betterment of China, and the intention to use his or her studies at Yale University to further that commitment. Candidates must first apply to the Jackson Institute through the regular admissions process of the Graduate School of Arts and Sciences at Yale. Each year, the online application is available from mid-August through January 2. In order to be considered for a Kwok scholarship, students must indicate that they are interested in Yale-based funding, and be successful in gaining a place for admission to the M.A. in Global Affairs. Eligible candidates who have received an offer from the Jackson Institute will automatically be considered for a Kwok Scholarship. No separate application is required. Short-listed applicants may be contacted for final interviews and the successful Kwok Scholar will be notified of his/her selection. Please see jackson.yale.edu and/or email jackson.institute@yale.edu for further information about applying for a Yale Kwok Scholarship.